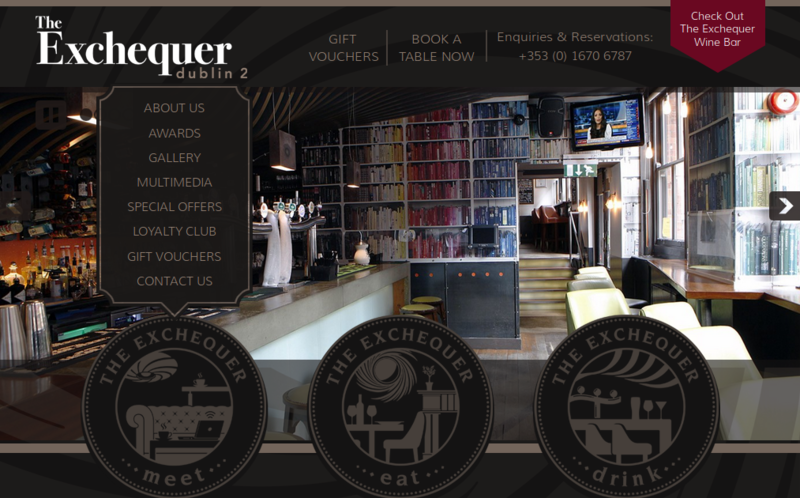 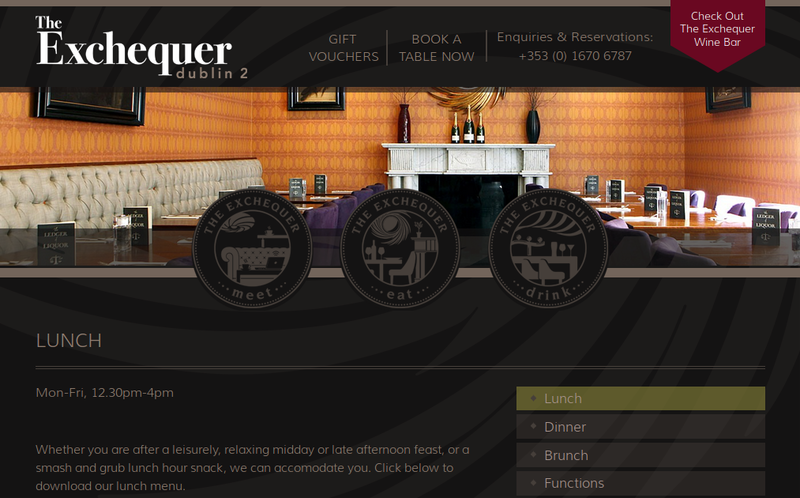 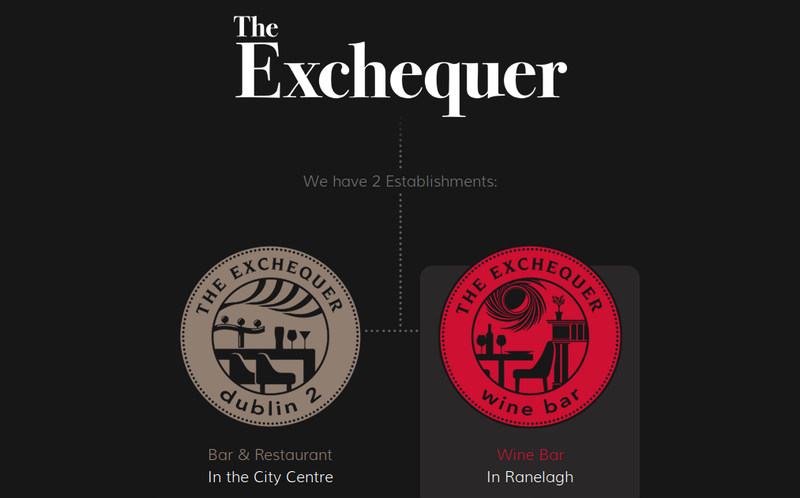 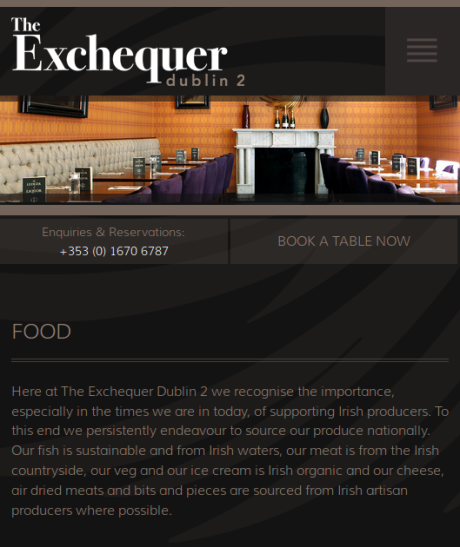 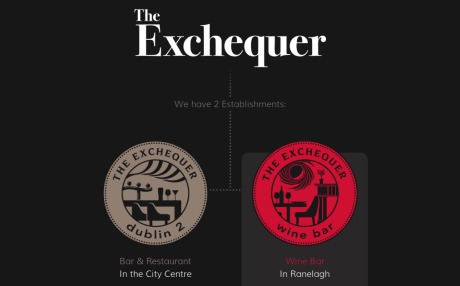 TheExchequer.ie are a bar/restaurant in Dublin 2 and a wine bar in Ranelagh Ireland. This is the third iteration of their website that we have built, originally they just had the one premises in Dublin 2 (and the one website) but have since expanded to open the wine bar so they now have a landing page at their original domain that directs users to the other two domains. 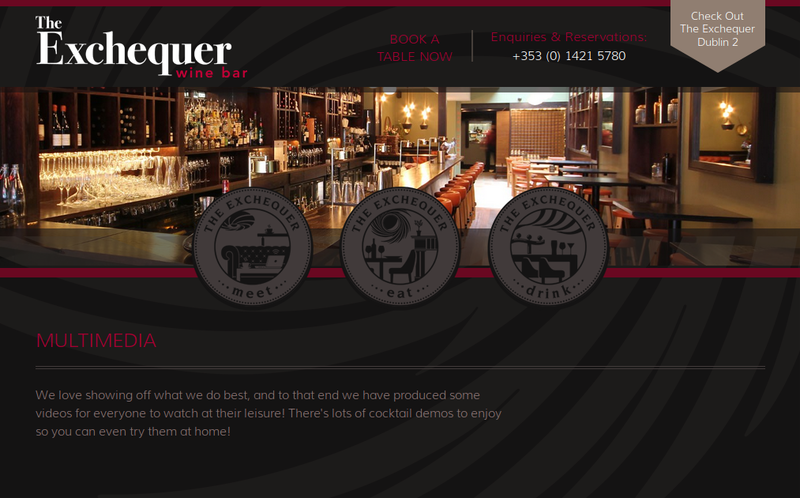 The CMS uses CKEditor to enable WYSIWYG HTML creation.